NASA’s Parker Solar Probe is going to study the Sun like no spacecraft has before. It is performing a series of flybys of our star, getting closer and closer each time. A few weeks ago it performed its first close approach, getting as close as 24.8 million kilometers (15.1 million miles) from the surface of the Sun. Scientists are now receiving the data from this close passage, including the first close-up image of the solar corona, the vast aura of plasma that surrounds the Sun. 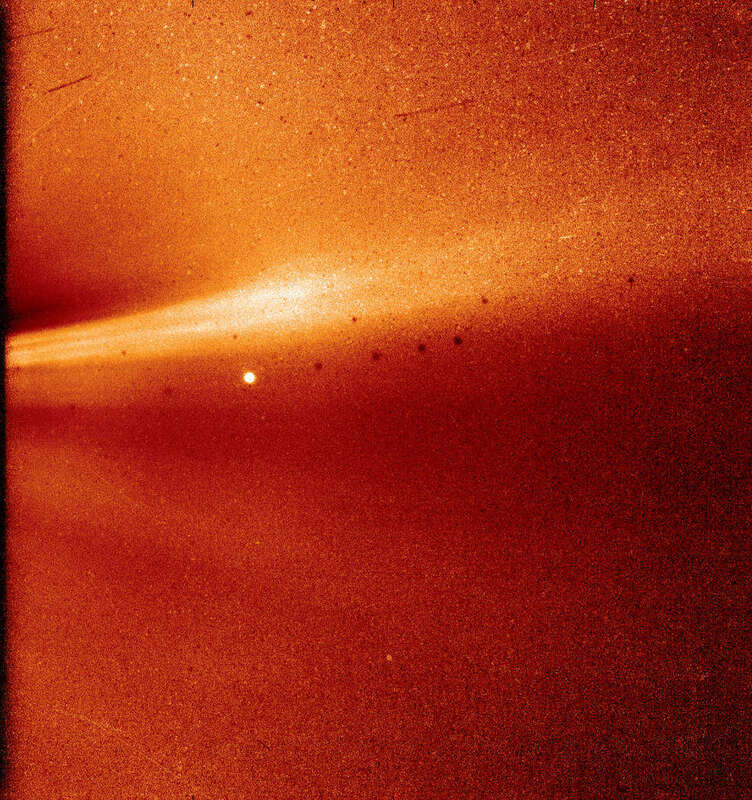 The image was captured by the WISPR (Wide-field Imager for Solar Probe) instrument, which is designed to study the particles moving in the solar corona. The imager snapped a coronal streamer, a structure made of solar material usually overlaying a region of the Sun with high activity. The probe was about 27.2 million kilometers (16.9 million miles) from the surface of the Sun. Parker's suite of instruments is investigating two major mysteries of the Sun. 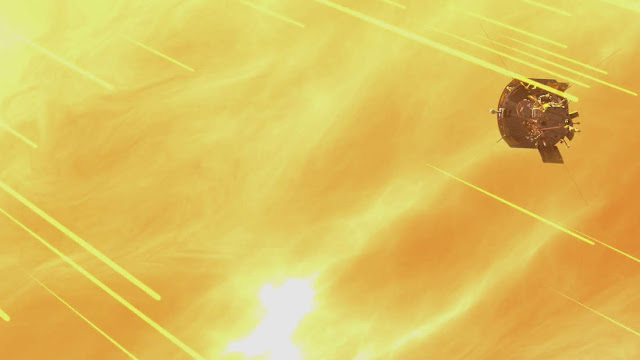 How is the solar wind accelerated to such a high speed? And how can the corona be 300 times hotter than the surface below? "Parker Solar Probe is providing us with the measurements essential to understanding solar phenomena that have been puzzling us for decades," Nour Raouafi, Parker Solar Probe project scientist at the Johns Hopkins University Applied Physics Lab in Laurel, Maryland, said in a statement. "To close the link, local sampling of the solar corona and the young solar wind is needed and Parker Solar Probe is doing just that." The probe was closest to the Sun on November 8 and the next flyby (which will reach the same distance) will take place on April 4, 2019. The spacecraft is on a particular orbit that will take it as close to the Sun as 7 million kilometers (4.3 million miles) by Christmas Eve 2024. In total, it will get close to the Sun 26 times, and these perihelions could come with many surprises. "We don't know what to expect so close to the Sun until we get the data, and we'll probably see some new phenomena," said Raouafi. "Parker is an exploration mission – the potential for new discoveries is huge." The first bundle of data and the image were presented at the American Geophysical Union Fall Meeting, which is currently taking place in Washington DC.